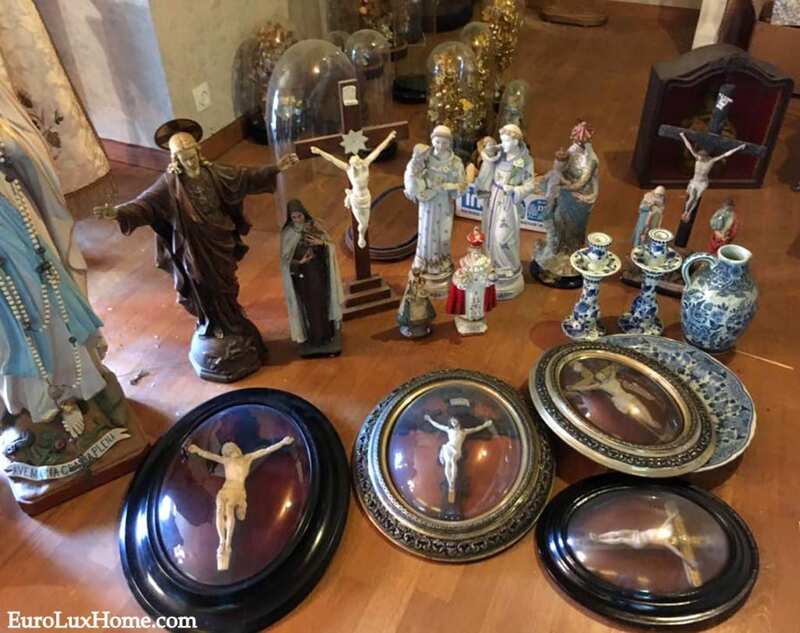 We continued our European antiques buying trip in Belgium, where we found a wonderful array of religious treasures to ship home, as well as antique furniture. In my last blog post I wrote about the antique and vintage chandeliers we found in Belgium. So let’s have a look at our next discoveries. 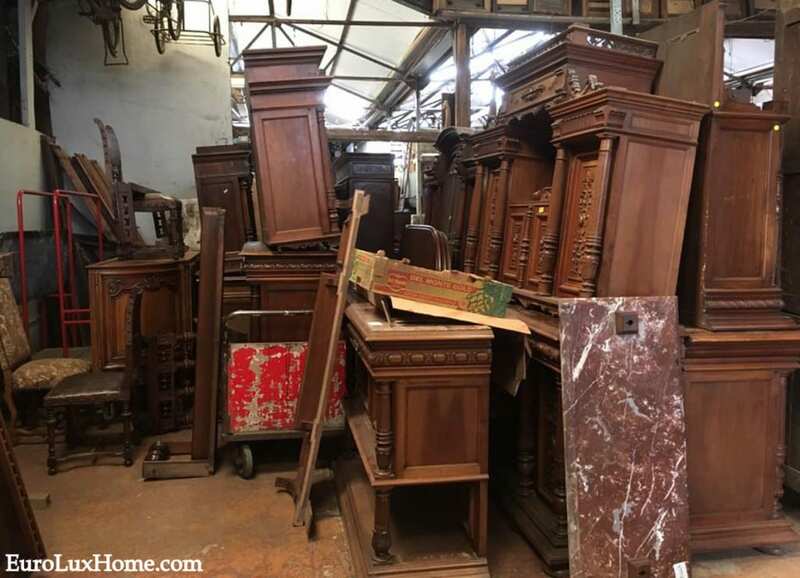 We were mainly driving around France, Belgium and England to visit antique stores and dealers so we could find pieces to ship back to the USA. However, on one day in Belgium we helped clear out a house and we found some great religious pieces. Apparently the lady that died was the girlfriend of the local priest! That would explain why she had so many exquisite crucifixes and religious statues. Here are some of the statues we found. The details on the Madonnas and saints are beautiful. You can see that the hand-painted robes and faces on the figures still show bright colors and there isn’t much sign of wear and tear. They were obviously well-cared for and loved, and probably kept in a fairly shady room so the colors didn’t get bleached by the sun. 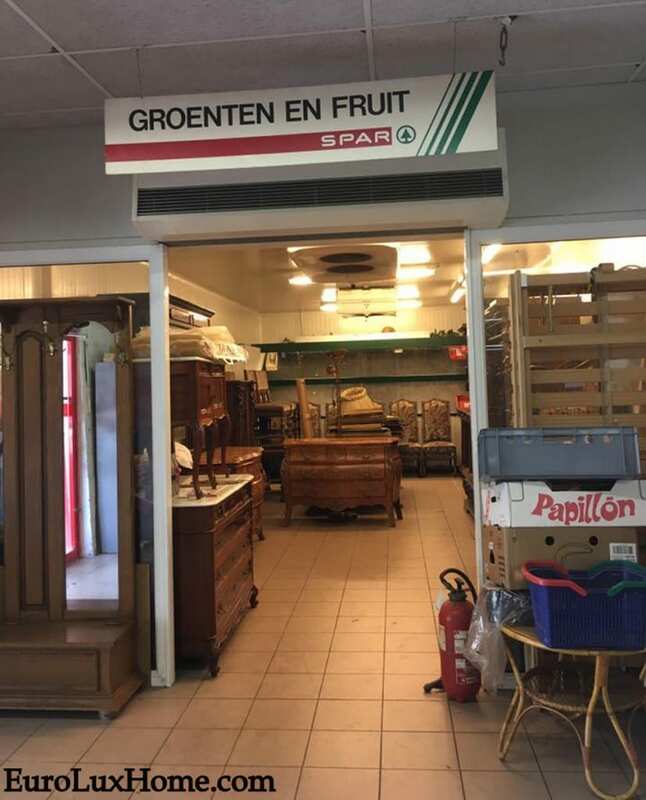 At the end of our buying trip in Belgium we had a huge bounty of furniture and religious treasures, as well as 85 vintage chandeliers. The chandeliers were all individually wrapped and you can’t see them in this photo. We pack them inside the big furniture so they are protected and also to make the most of every inch of space. But just imagine 85 individually wrapped chandeliers! So now the question was: Could we fit everything we had bought in Belgium in THIS rented van? And the answer was…. Nope! 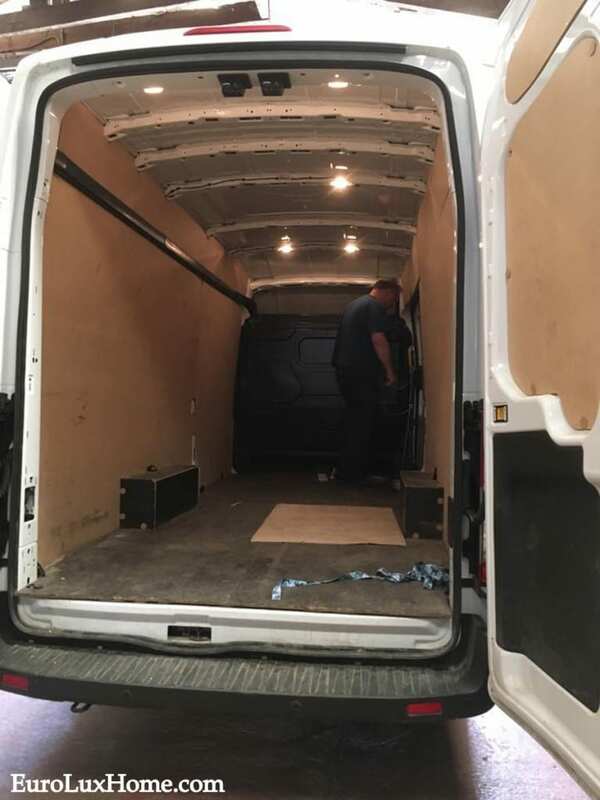 It worked out to be about three van loads. But we managed to get everything safely transported. Next, our very full shipping container will set off for the USA in the last week in July and land in Charleston about 4 weeks later. Then the real work begins! As for me and Greg, we drove back to Paris to turn in the van, and then we flew to England to drive around the Midlands looking for grandfather clocks and Chesterfield leather sofas. That’s another story for my next blog post! 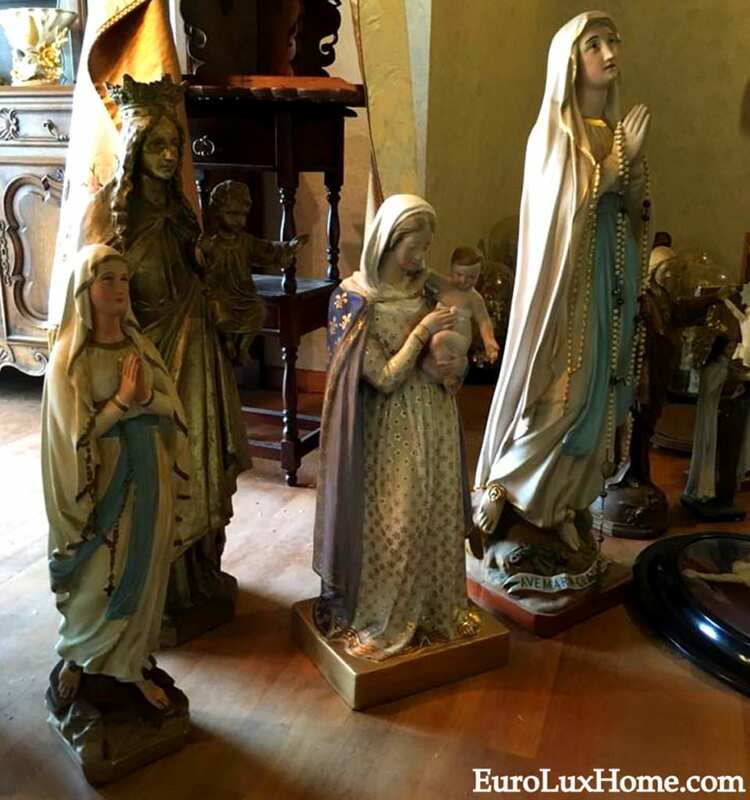 This entry was posted in Antiques Buying Trip and tagged Antique Crucifixes, Antique Furniture, Antique Madonna, Antique Religious object, Antiques Buying Trip, Antiques Shopping, Antiques Shopping in Europe, belgium on July 23, 2017 by admin.